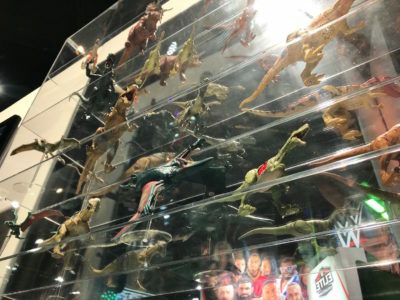 It was a surprisingly big SDCC as far as Mattel was concerned, as the toy giant showed off DC, WWE classics, and Jurassic World galore. 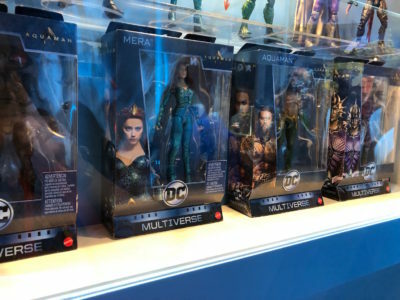 I’m not used to seeing the kind of display from Mattel that they had for SDCC 2018. It’s not that they haven’t had big Cons before, as they certainly have. 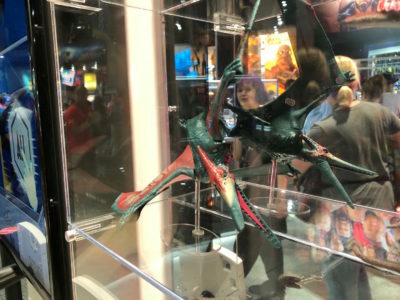 But since the end of Masters of the Universe Classics, it’s seemed as though Mattel’s booths haven’t had a ton of new stuff. 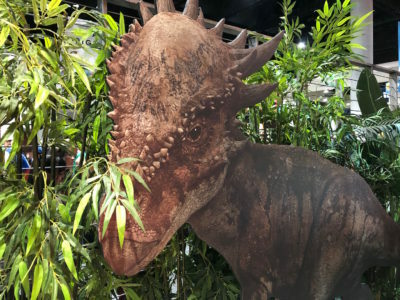 This year though, there were a number of very impressive showings. 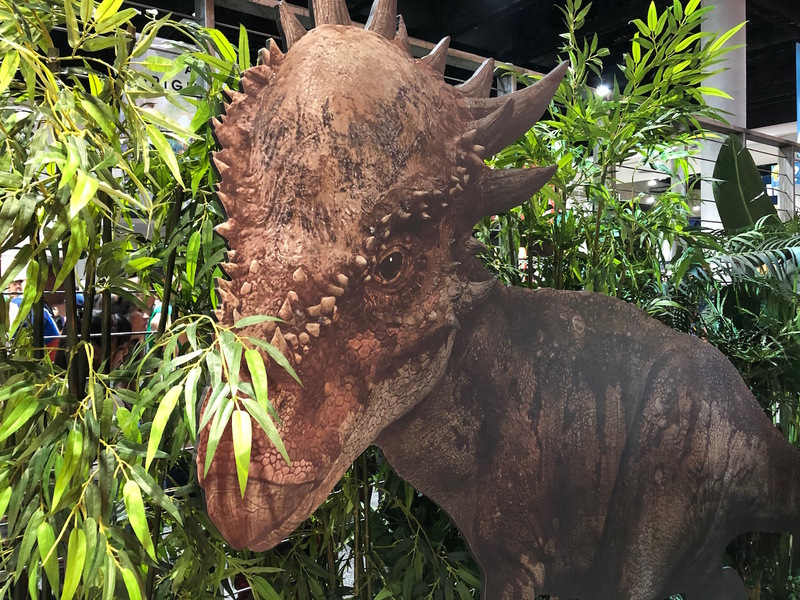 That’s including the stuff that we have to look at here. 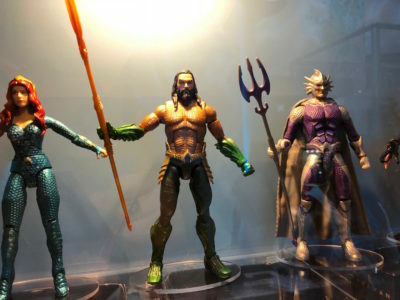 And in that mix we have both DC Multiverse and Aquaman figures, some great new WWE classics, and a tidal wave of dinosaurs from Jurassic World. 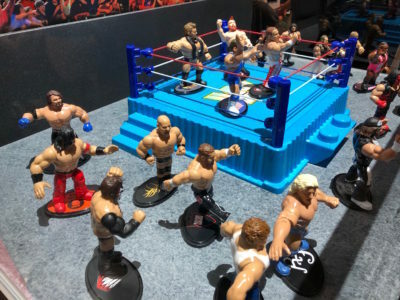 I’m not a fan of the least of the modern WWE, but if you’re talking classic Federation stuff? Yeah, I’m on board for all of that. 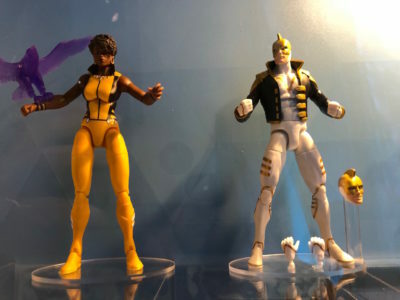 And while there were a good number of modern-flavored Elite figures on hand in the Mattel booth, there were also more than a couple of classic characters shown in plastic. Ric Flair, Kurt Angle, Vader, and Paul Bearer were standouts here. 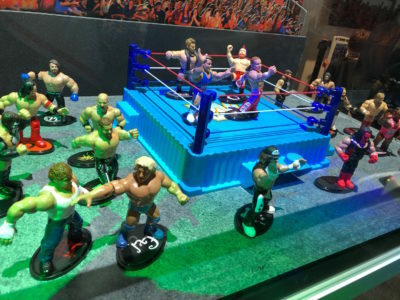 Outside of the standard line, there was also a nice showing of the retro throwback figures, including a new ring. If you remember the actual 90s line that this new series is based on, then that squared-circle in particular should look very familiar to you. 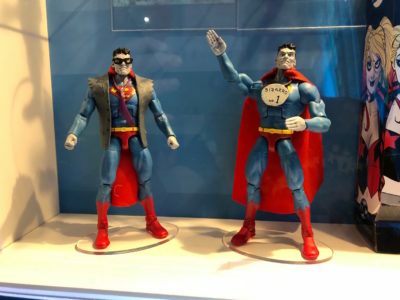 I think it might be a fairly straight remake. 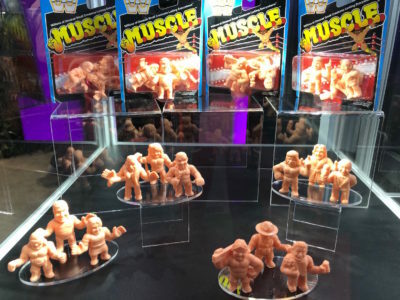 WWE MUSCLE figures were also shown off and even sold at the Mattel shop booth. Though they were the first things to sell out every day, and were nearly impossible to get. 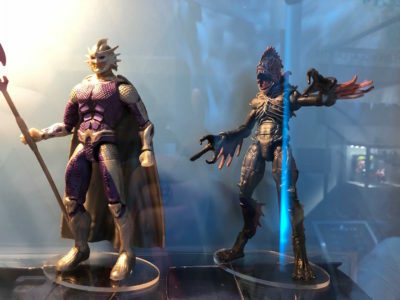 I’m hoping they hit actual retail at some point. 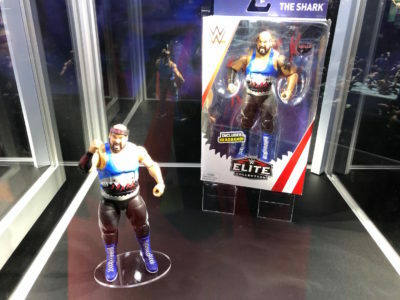 Speaking of “actual retail”, Mattel also had the Target exclusive John Tenta (Earthquake) as his WCW persona – The Shark. 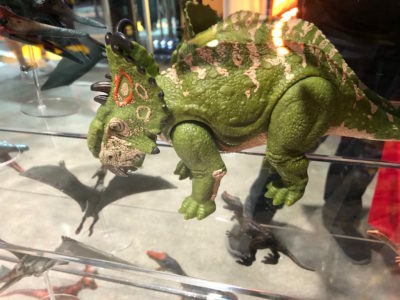 Like the MUSCLE packs, this figure is probably history already, though I believe Target still has him in their system. 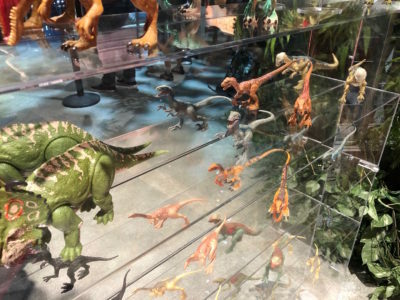 What we’ve got here, is a few of the standouts, as far as I’m concerned, in the Jurassic World line. 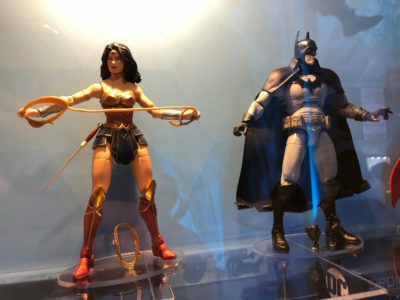 It is not however, anywhere near a complete look at the figures that Mattel had in the booth at Comic Con. 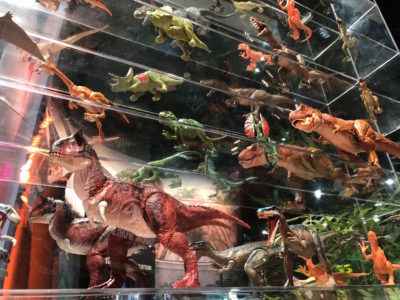 That’s because -holy crap- are there a lot of dinos either out or coming soon in the Jurassic World line. 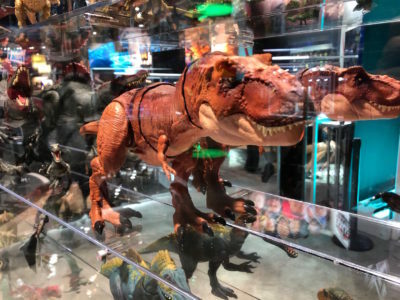 There’s also a nifty original Jurassic Park jeep from Matchbox by the way, that fits the JP human figures in this line. 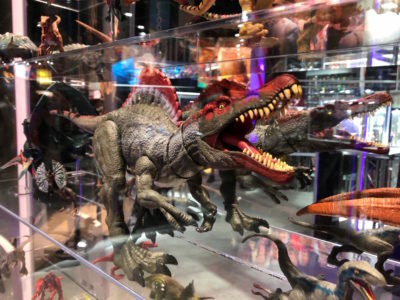 It’s out now, and would go great with the Ian Malcolm figure that’s coming out some time this year. 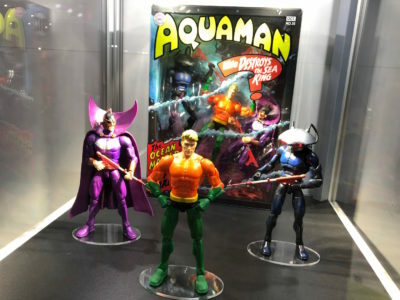 And finally, we have the biggest feature of the Mattel booth – DC Multiverse. 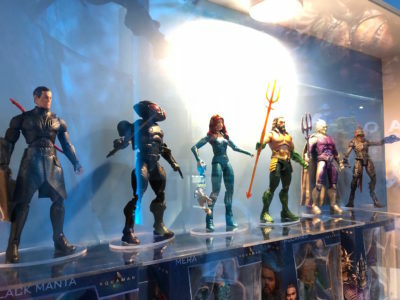 Yes, that does include Aquaman goods, as well as a monster-sized display based on the upcoming movie. 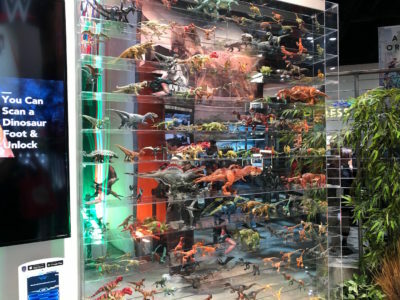 Pretty awesome that, and a display that more than rivaled what Hasbro does every year with its Marvel Legends showcase. It was good to see. 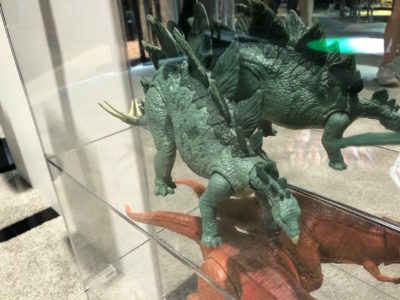 And that’s not mentioning even that there were some tantalizing glimpses of stuff from the film, that should be making it to retail. 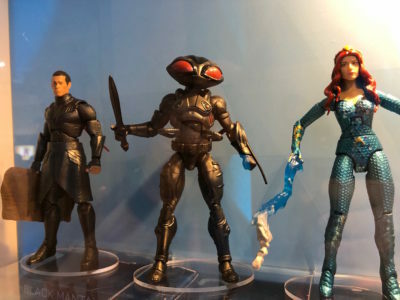 That includes the sharks with riders, that awesome Black Manta sub, and all the various heroes and Atlantean characters. 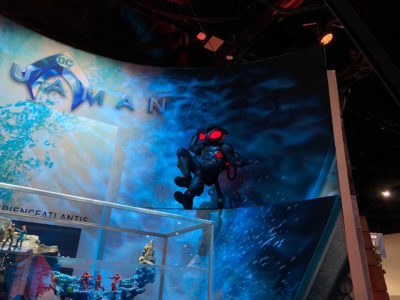 And yes, by the way, that is a recreation of the film Black Manta costume that you see in there. 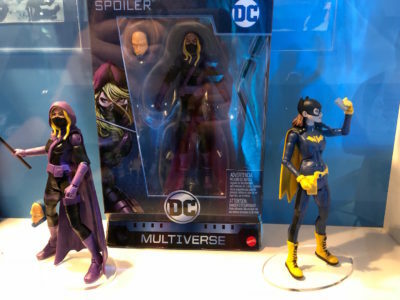 As for the rest of the Multiverse stuff? Well, it was pretty good too! 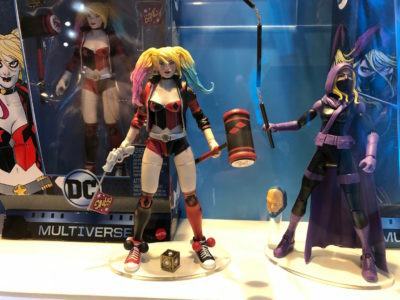 I love seeing where Mattel is heading with this line, since it’s really starting to include some great DC heroes and villains again, harkening back to the DC Universe Classics series that ended years ago. 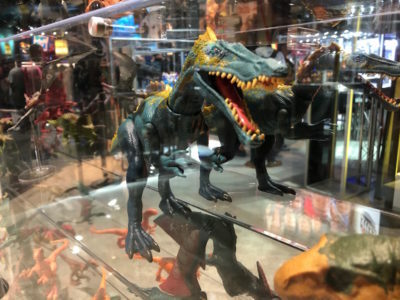 I hope it continues honestly, since we’ve heard some rumors of Mattel having serious issues and laying off staff. 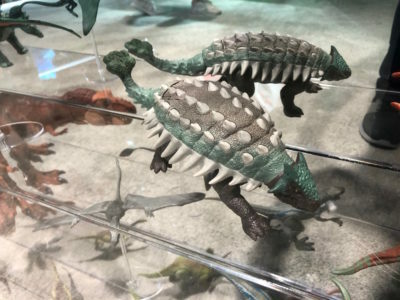 But let’s get back to the more fun items at hand. 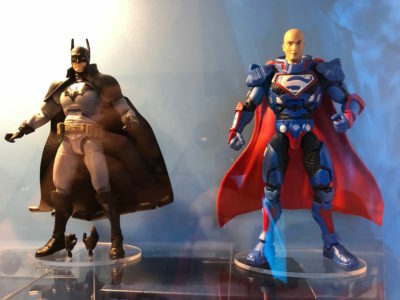 While there weren’t a ton of figure on hand, there were some good ones, like the Spoiler, a new Bizarro, and the Lex Luthor (in Superman suit) build a figure wave. Good stuff.